Davidson is a graduate student at Trent University. His thesis is titled, "Empire and its Practitioners: Health, Development, and the US Occupation of Haiti, 1915-1934." Soon after invading in 1915 the Americans quickly seized control of Haiti's public health services. Knowing that, in colonial times, French, Spanish, and British invaders failed in Haiti because of disease, and having learned from other colonial experiences such as in Cuba, the Americans hoped that they could protect their troops from tropical pathogens by implementing various public health measures. These programs, mostly focused on mosquito eradication and other anti-malarial efforts, provided the basis for the Public Health Service that was established in 1917 in compliance with the 1915 treaty that legalized the occupation. Known as the Service d'Hygiene, the department was placed under the charge of a Sanitary Engineer. Though the Marines relinquished direct control of the service, the office of the Sanitary Engineer was held by an American just as most administrative positions were during the occupation. 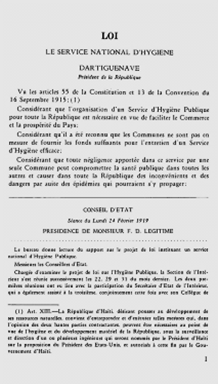 This remained the case even after the Act of 24 February 1919 finally integrated the Public Health Service into the Haitian government after a few years of de facto operation. As responsibility for health shifted, so did the Service d'Hygiene’s purpose. No longer solely responsible for the health of Americans, the Public Health Service turned its focus to the general Haitian population, especially after 1920 when a smallpox epidemic ravaged the country. Supported by a mandatory vaccination law the service launched a successful smallpox inoculation campaign, which brought American doctors and western pharmaceuticals into previously isolated and hostile Haitian villages. It was the first of many attempts to bring "the gospel of health" to Haitians. In conjunction with a series of hospitals and rural clinics built by the Americans, public health officials traversed the countryside to make both preventative and curative medical care widely available, as the source below indicates. This conveniently also doubled as a public relations campaign for the Americans. 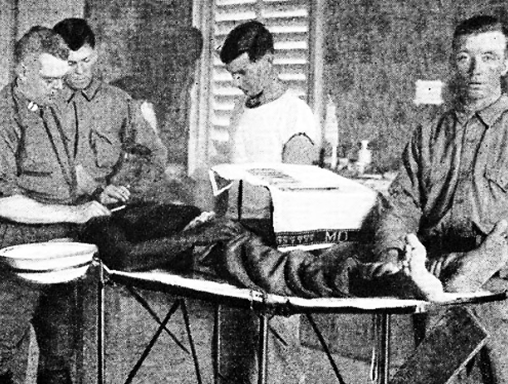 Though Haiti could boast state-directed medical care since 1808, the Americans worried that the health sector would sink into disrepair after the occupation ended. To ensure that Haiti would retain a domestic source of medical expertise, the National School of Medicine was overhauled in 1926 with the aid of the Rockefeller Foundation. 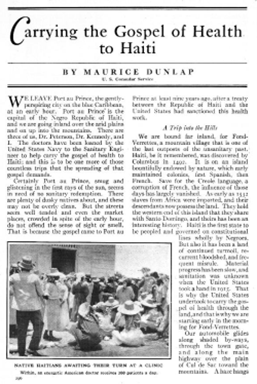 As the health services were "Haitianized" in 1931 in anticipation of the impending Marine withdrawal, the school trained new Haitian physicians. Though its budget was slashed, the Service d’Hygiene continued operating after the occupation ended. It was renamed the Département de la Santé Publique, before eventually becoming the Ministry of Health.